Contact Hollywood Truck Accident Lawyers Gerson & Schwartz, P.A. There are several large roadways passing through Hollywood, Florida. 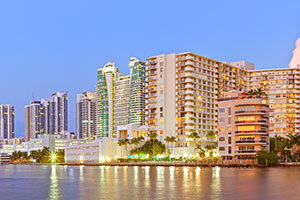 US 1, Interstate-95, and Florida Turnpike divide the city from north to south, connecting Fort Lauderdale and Dania Beach to Miami and Hallandale Beach to the south. These north-south thoroughfares intersect with Pembroke Road, Sheridan Street, and Hollywood Boulevard. Those intersections are some of the most dangerous in Broward County for pedestrians, bike riders, automobiles and trucks. In Hollywood, these large roads and the intersections between them often pose a great risk for drivers. They were designed with large vehicles in mind, but drivers sometimes overestimate the situation they are in, make mistakes, and cause accidents. When you are hit by a truck in Hollywood, no matter if as a pedestrian or while driving your vehicle, consequences can be devastating. If you were the truck driver, but you ended up in a rollover or a similar truck accident, the results could be equally terrible. The injuries from a truck accident may include head injury, broken limbs, broken hip, spinal injury, brain damage, back injury, broken ribs, scars, and others. Sometimes these accidents lead to disfigurement and could cause temporary or permanent disability. If you thought that you or a loved one of yours could seek financial recovery for your personal injuries, you may be right. If the accident happened due to someone else's negligence, you may be entitled to damages compensation for all the injury-related medical costs, pain and suffering, disfigurement, scarring, disability, lost wages, and other harms and losses as allowed under the laws of Florida. Getting that compensation, however, may be difficult and time-consuming. First and foremost, bad drivers almost always deny responsibility for auto accidents. They always say the other person was at fault. This is likely to happen to you as well, so you’ll need to gather all the necessary evidence to support your claim to get the recovery you deserve. 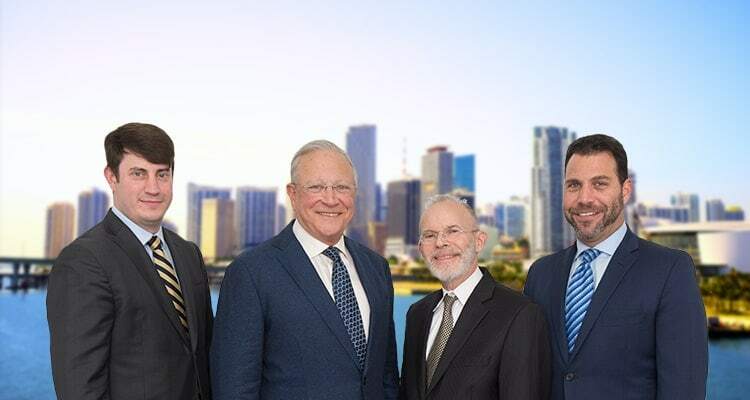 Our Hollywood truck accident lawyers at Gerson and Schwartz help good folks who sustain personal injuries in truck accidents throughout Broward County and Hollywood. We always start by free initial consultations where we let people know whether they stand a chance to get financially recovered or not, how much they might recover and how long it might possibly take. We do that free of charge at (305) 371-6000, at our office, or anywhere else where you may find suitable. These consultations do not mean you are under obligation to hire us. We handle cases on a contingency basis, which means that you'll pay fees only when we recover compensation for you. Call us now and let's explore the options. The bilingual Hollywood truck accident lawyers at Gerson and Schwartz are available for free consultations with you today at (305) 371-6000. Philip M. Gerson, Edward S. Schwartz, and Nicholas I. Gerson have vast experience in truck accidents damages recovery cases. Call us today for your free consultation. We don't ask for fees until we get you compensated.